Trayma We convert tapes into solutions. +1000 products ready to ship. 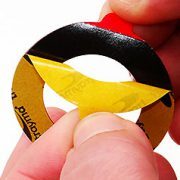 Adhesive Tape Sliting – The adhesive tape in the exact width desired ready to apply in production. Die Cutting – Creation of Adhesive Pieces – We combine materials and adjust them to the exact shape and dimensions to create bespoke adhesive pieces. Multi-material Printing – We print on PVC, PP, PE, fabric, aluminum, fiberglass, polyester …) with the quality that characterizes us. 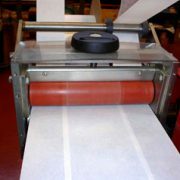 Adhesive Tape Laminating – With the laminate we can combine different adhesives, supports and protectors when the standard solution is not enough. 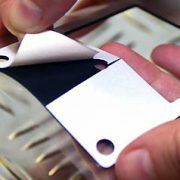 Total Customization – Starting from the raw material in large format we create adhesive products that help reduce costs and increase the performance of the final product. 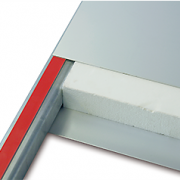 We can slit a wide variety of materials at exact width rolls from 0.7mm up to 1400mm. From simple shapes and sizes to complex material constructions and presentations. Trayma Lab is a dedicated laboratory to new materials testing and quality assurance. Message. Please indicate product reference (if known), desired width, quantity, etc. Discover the novelties of the sector from the hand of our experts. Centro Empresarial Larrondo, Building 4 - Pavilions 3-4-5, 48180 Loiu, Biscay. We convert tapes into solutions.